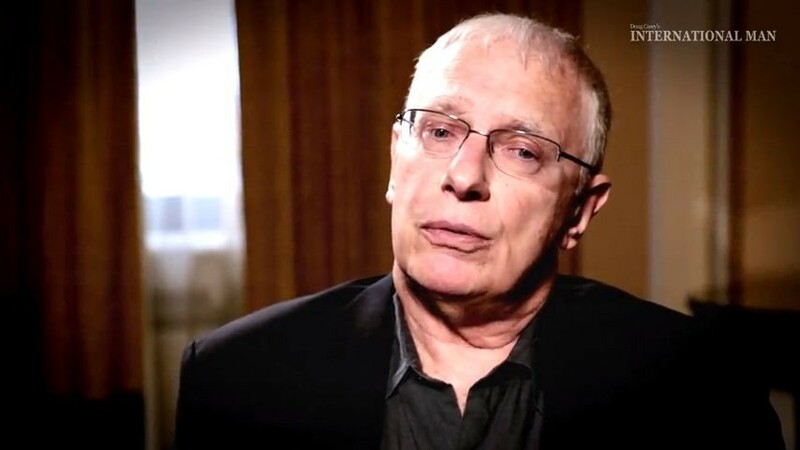 In a wide-ranging interview with Casey Research editor Louis James, Doug Casey discusses why it's imperative to start diversifying one's assets today, and provides some guidance in considering countries to diversify into. L: Doug, we're getting a lot of questions from readers on how to follow your advice to diversify assets politically. I know it's a prickly subject, but what can you tell us about getting our money out from behind the new iron curtain that seems to be descending? Doug: First – and I can't stress this enough – you've got to accept the grim reality of impending currency controls. The modern era of foreign exchange controls really started with the perversely Orwellian-named Bank Secrecy Act of 1970. For the first time, that made it obligatory for US citizens to report any foreign bank or brokerage accounts they had to the government. But the threat is older than that, of course, going back to 1933, when Roosevelt confiscated Americans' gold. Interestingly enough, only gold bullion held by Americans within the United States was confiscated. If you had gold outside the United States, you were insulated. L: I didn't know that – if history repeats itself, that could be a key tactical factor for our readers to consider. Doug: Yes. There are no guarantees, of course. Those in government today think they can do absolutely anything they deem necessary and expedient. But at least if it's out of their physical bailiwick, it improves your odds. L: Why do you think they allowed that exemption last time? I doubt it was because they had any shred of respect for private property – maybe they just recognized that trying to seize gold overseas would be impractical. Doug: Good question. Well, the 1930s were a different era. Communication, for one thing, was vastly slower and more expensive than it is now. And you have to remember that though we had an income tax in the 1930s, since 1913 actually, very few people were paying it – even among those allegedly legally obligated to pay it. It was hard for the government to find out who they were, and how much they were earning, and so on. Even though there were only 140 million people in the country then, the absence of computers and much less centralization made it very hard for Washington to keep tabs on them. L: The income tax really was a voluntary tax back then! Doug: [Laughs] Much more so than now – it really was a different era. At any rate, based on this history and that the juggernaut is building momentum towards the bottom of the ditch, I have to reiterate my advice on the most important investment decision you can make. And it isn't one among the different classes of investment; it's political and geographical diversification. Simply put, that's because no matter where you live, your government is the greatest threat to your wealth today. If you're a high-income earner, the state basically takes 50% of what you earn, and then from what's left, you have to pay your real estate taxes, sales taxes, and many, many other kinds of taxes. Government is without question the biggest danger to your financial health. You've got to diversify your assets so they are not all under any one government's control. L: You say that in almost every speech you give these days, and you said it in one of our interviews a couple of weeks ago. Doug: Yes, and it bears repeating, constantly. It's the elephant in the room that very, very few people pay any attention to, and it's going to stomp most people to death, for just that reason. L: Okay, so give us a primer. For those who want to avoid getting crushed by the elephant, where do they begin? Doug: To start with, it makes all the sense in the world to have a foreign bank account. Not a hidden one – I'm not advising anyone to break any laws. You report it on your annual tax filings. So, the government will know about it, but if it's a foreign bank account, they can't just step in and lock down your assets in an instant. L: Does Canada count as a foreign country for Americans? Doug: I'll probably get hate mail for saying so, but it's important for investors to recognize that Canada is a sort of “USA Light.” When Washington says, “Jump!,” Ottawa says, “How high?” Nonetheless, if only for the sake of formalities and legal pleasantries, US citizens would have some degree of insulation with a Canadian bank account. And, as a general rule, Canadian banks are more solvent than US banks, so setting up a Canadian bank account is an easy first step for many US investors. The second thing to do would be to set up a Canadian brokerage account. Unfortunately, the SEC has made it so that no Canadian broker will open an account with an American unless they have a US subsidiary. That, in effect, makes your Canadian brokerage account like a US brokerage account. That doesn't help you much from an asset-protection point of view, but it does let you trade directly in many of the stocks we recommend in the International Speculator and the Casey Energy Report (not through a US market-maker via the pink sheets). Third, I think that having a safe deposit box in Canada is vastly preferable to having one in the US. You probably do remember that when Roosevelt confiscated gold in 1933, he also sealed safe deposit boxes in all US banks. No American could visit a safe deposit box for some time without a government agent accompanying him. That could certainly happen again. And all of this is true in other countries around the world. But yes, as an easy place to start, Canada is a sort of plain-vanilla jurisdiction that's worth giving a try. L: So, what would be the French vanilla, or even the Bailey's Irish Cream jurisdiction? Is there such a thing as a tax haven anywhere in the world anymore? Even the Swiss have caved… I just heard that they just started handing over new account info to US authorities. Doug: Yes, apparently there were some 50,000 accounts UBS had, owned by US citizens. UBS, a multinational bank with a very substantial presence in the United States – and therefore exposure to extortion by US authorities – was going to hand them all over. The Swiss government stepped in, saying they would prosecute UBS officials if they violated Swiss law by doing that. But the Swiss worked out some sort of compromise with the US authorities, so only about 5,000 accounts are being handed over. On what basis they picked these 5,000 is uncertain. So, the first tax-haven rule is to never go to a place that's obviously a tax haven. If I were interested in bank privacy, I'd forget about places like the Bahamas or the Caymans. It makes no sense at all today. All those little island republics are totally under the thumb of the US at this point. And they've always been infiltrated with stooges. They may have bank secrecy laws, but they don't have a tradition of privacy like Switzerland has – although that's no longer what it was. You'll recall how the German government bribed a Liechtenstein banker to steal account names and information. The Germans then turned over relevant data to the UK, US, and other governments, who were quite happy to receive stolen goods. And there was about zero protest over the appalling theft. It's a testimony to how thoughtless and ethically complacent most people are; when a state commits a crime, they just overlook it. L: Are you saying that all of the little havens are unreliable? Doug: Well, I don't know of any that are reliable. Instead, I would recommend places that are geographically distant from the US – and culturally distant as well. To me, the best places to be are in the Orient. That's partially because the Chinese and other Oriental civilizations are much less prone to roll over and do what they are told. National pride ensures that, if nothing else. But if you go this route, with, say, an account in Hong Kong, you certainly would not want to use a bank like HSBC. It's got branches all over the world, prominently in the US – so, like UBS, they'll do what they are told. Actually, there are still Swiss banks that will open an account for a “US person,” if you can convince them to do it. But you definitely do not want a Swiss or Liechtenstein bank that has any presence in the US. The same would be true in the Orient – so forget about HSBC. You want a real Chinese bank. That way, when the US government calls, the phone will be answered in Chinese and no one will speak English with them. The best places are the least obvious places. Malaysia is interesting. Thailand. These are completely non-tax-haven types of places – and that might make them suitable. L: What about step two, getting a brokerage account? Doug: Well, it's tough these days. If you want to trade in US and Canadian stocks, you pretty much have to have an American or Canadian broker. But one thing that can be done that is completely legal (and reportable) is to open up a foreign company. Then the company can open up a brokerage account. That way, you do have a level of insulation I think is very valuable, both from a practical and a legal point of view. L: I gather you're not talking about the banana republic IBCs I see peddled on the Internet? Doug: Right. Most of what you see on the Internet offering to open up an IBC – which is just an offshore company – are just scams, if not stings. The fees are too high. The people are usually sleazy. They often come up with all sorts of cockamamie tax-avoidance schemes. You may be encouraged to do things that are illegal. They are just disasters waiting for you to walk into. I strongly encourage people not to even consider such offerings. If you want an offshore company for the purpose of convenience or a measure of privacy, completely reportable and within the law, the best thing to do is to go to the jurisdiction you've picked and see a lawyer who deals in that sort of business. Cut out the middleman. Ideally, the jurisdiction would be one that meets the criteria I outlined above, but is also a place you'd actually enjoy spending time in. L: So, you hop on a plane to, say, Panama, and… how do you go about finding a reliable attorney to set up your corporation? Doug: That's the intelligent way to do it. There's nothing illegal, nor particularly tricky about it; you just find a lawyer who specializes in it, pay the fees, and off you go. How do you find a good lawyer? Same way you do at home; you go and start interviewing lawyers until you find one that impresses you as being sound. Panama, by the way, is probably the best place to do this at this moment. The British Virgin Islands may be another. And, of course, if you're an Australian or a New Zealander, you should think about Vanuatu – it's only a two-hour plane ride from Sydney or Auckland. L: That's really all it takes? Find a lawyer and pay the fees? Doug: Yes, though there can be nuances worth paying attention to. For example, there are various jurisdictions with different tax treaties that can be used to your advantage. The Dutch Antilles being a famous example, as far as dividends treatment goes. This is a specialist area that, well, you should discuss with a specialist. But you should definitely give it some thought. Oddly enough, you can import gold into Argentina with no problems nor reporting requirements, and you can buy and sell gold in Argentina just as easily. It's much easier than in Uruguay, but I wouldn't dream of doing any significant banking in Argentina – and neither do Argentines. The government is just completely untrustworthy when it comes to things like bank accounts. So, it's rather perverse; you can deal easily in gold in Argentina, but not bank accounts, and you can't deal in gold easily in Uruguay, but bank accounts are easy. Frankly, the best place to look for one-stop financial services shopping is Panama. Banking is easy, and there's no gold reporting. L: What about your cash, once you have your offshore bank account set up? You have to declare it if you take more than $10,000 on your person, but can you wire whatever you want? Doug: Yes, you can send any amount of money you want, currently. It gets reported, but it's basically unregulated. And by the way, the $10,000 limit doesn't cover gold, but it does cover stock certificates and other financial instruments – but you can still send those by Federal Express. Doug: I'm sure they'll get 'round to closing all the loopholes. So, the time to act is now. We'll keep monitoring the situation, but when this happens, the Powers that Be won't want anyone to see it coming, so it will zing in from left field. Your only chance to protect your wealth is to start diversifying its exposure to any one particular predatory state as soon as possible. I have to stress again the urgency of diversifying the political risk your assets are exposed to: do it now. L: Okay, Doug – thanks! Your first step toward internationally diversifying your wealth is to tune in to a free Casey Research video on the subject, Internationalizing Your Assets. 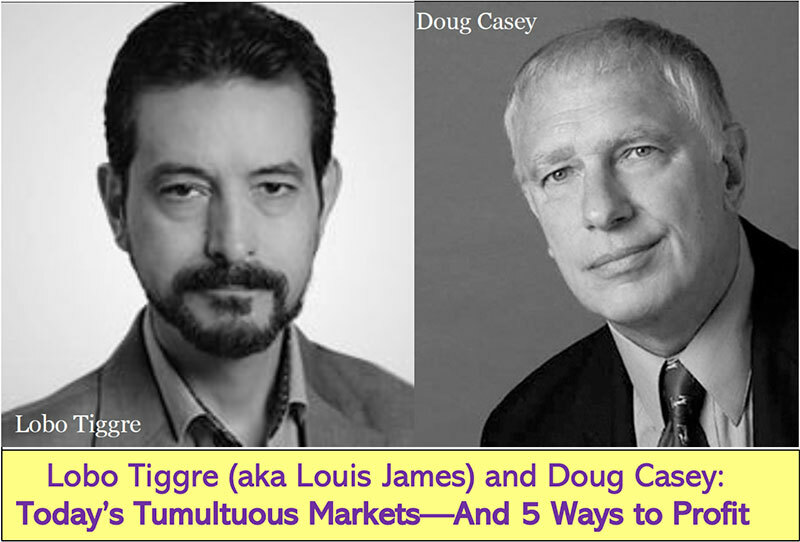 Doug Casey – Casey Research chairman and a New York Times best-selling author – highlights a blue-ribbon cast of financial experts who will reveal their favorite strategies for protecting your wealth abroad. Click here to view the video now.